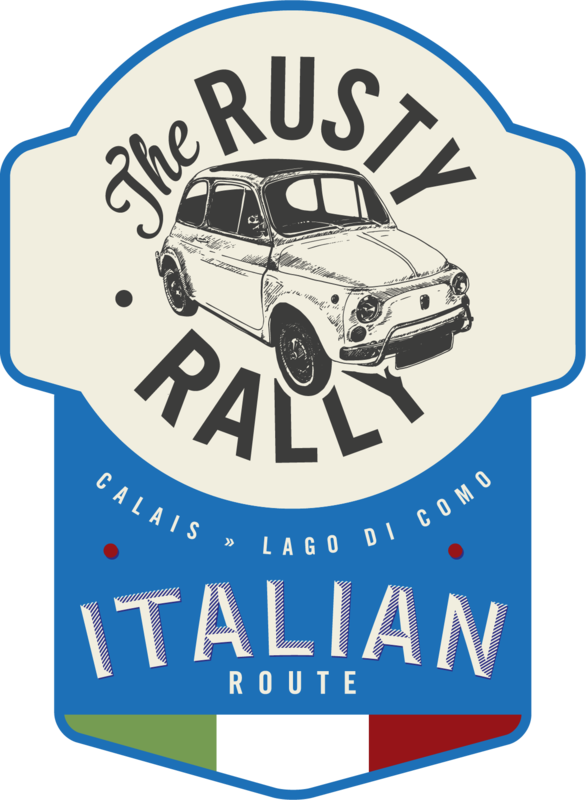 The original Rusty Rally is a classically beautiful route along some of the most famous scenic driving roads in Europe. Visit military sites, sample French cuisine, cruise through the Black Forest, have lunch by the towering Rhine Falls, drive over one of The Alps’ highest mountain passes and relax by the shores of the tranquil Lake Como. This route has all the components of a grand adventure, with a new experience around every corner. We can run this route for you to host your own event. Suitable for between 6 and 12 cars, the trip can be used in a multitude of ways. Great for corporate teambuilding, employee incentives, client entertaining or even a personal birthday or occasion. Rendezvous in Calais for an early mobilisation of your Rusty Rally team. There will be time to exchange contact details to share your experiences and admire the mediocrity of the vehicles taking part! From here we will set off for a dramatic day as we plough through France, Belgium, Luxembourg and into Germany. You could stop off at one of the many military sites en route, visit the Luxembourg wine cellars or have lunch in the charming medieval Belgium town of La Roche en Ardenne. Enjoy an evening in the small spa town of Niederbronn, with dinner and perhaps a flutter in the Casino. After a croissant and cafe au lait, we meet for a morning briefing before setting off. Our aim – to cross the border into Germany’s heartland. Travelling through the beauty of Baden-Baden we head onto the B500, one of Europe’s most beautiful driving roads through the magic of The Black Forest. Stop off at Lake Titisee for some black forest gateau and maybe even a boat trip across the lake. Then visit The Rhine Falls, Europe's very own Niagara, before heading into the incredible wonder of Switzerland with its picture-book houses and dramatic mountains. Rally HQ tonight is high in The Alps, where we will enjoy a BBQ and beer steins overlooking the mountains to the sound of an oompah band! The alpine air is perfect to prepare you for arguably the biggest adventure of your trip - The San Bernardino pass, going over the top of The Swiss Alps. Have your driving gloves at the ready and your eyes peeled as you wind your way around the road described by Top Gear as “one of the world’s ultimate driving experiences.” You and your mediocre motor car will need to be in perfect unison for this magical yet perilous route. Cross over the final border into Italy and enjoy a drive along the Italian Lakes, a popular retreat for aristocrats and Hollywood stars. After reaching the chequered flag you will enjoy a celebratory evening of Italian food and wine to toast your adventure. The driving finishes at the Italian Lakes on Saturday, where we will have a celebratory dinner and overnight stay. On Sunday you can fly home from Milan or choose to drive back.